Thermoplastic Polyolefin Waterproof Membrane is a Waterproof Membrane. Its raw material is polymer and can be reinforced with polyester mesh and with fabric backing,manufactured by advanced extrusion machining technology.J.S.Brown have many years of experience in this field.We supply many kinds of waterproof membranes such as reinforced SBS waterproof materials,EVA material and so on.Due to high quality,we have exported to many countries. 1.It`s easy to install with good system integrity, few accessories. 2.Excellent tensile strength, tearing resistance and penetration resistance performance. 3.Hot-air welding. The peel strength of joint is high. 5.Environment friendly, 100% recycled, without chlorine. Can be widely used in roofing, basements, subways, dams, water, tunnels and steel roof, large supermarkets and large-scale plant permanent waterproofing. 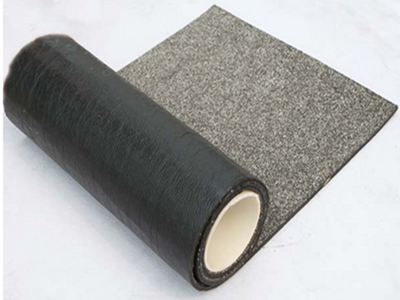 Looking for ideal Reinforced Waterproof Membrane Manufacturer & supplier ? We have a wide selection at great prices to help you get creative. All the Thermoplastic Polyolefin Waterproof Membrane are quality guaranteed. We are China Origin Factory of Reinforced SBS Waterproof Materials. If you have any question, please feel free to contact us.